Tucked away in the lush rainforest on Vancouver Island’s west coast near Ucluelet lies Wya Point, an Indigenous owned and operated tourism venture. Amanda recently had the opportunity to visit Wya Point Resort owned and operated by Ucluelet First Nation. The Resort offers a broad range of accommodation options and amenities including a campground, ocean front yurts, an ocean front eco lodge, a surf shop and the Wya Welcome Centre. They originally started with just the campgrounds, then after a few years moved on to building the yurts, and after that just recently built the eco lodge. Their service offerings cater to all types of travellers from more basic accommodations to luxury services making it a place that has something for everyone. It’s operated so effectively by having a central administration building that is accessible off the main highway. This is where the Welcome Centre is and it acts as the hub where you check in, can purchase snacks and souvenirs, and ask questions about what to do in the area. There is also an onsite Maintenance Manager that is there at the campgrounds, yurts and eco lodge, to provide assistance if needed on the ground. Amanda stayed in the ocean front yurts and they were so cozy! She came during off season so it was a bit cooler outside, but the propane stove kept the yurt nice and warm. They were self-contained units equipped with cooking supplies and a BBQ. Each yurt has their own private access to the beach making it feel like you are having a private experience on the wild west coast. And for it being off season it was entirely booked with families, couples, and young travellers. For those looking for a more amenities and a luxurious experience, the Eco Lodges at Wya Point offer deluxe accommodation in self-contained, uniquely designed post and beam lodges complete with fireplaces, modern kitchens, spectacular ocean views and walk-on beach access at Ucluth Beach. These were fully booked when Amanda visited, but she overheard some guests checking out stating that they loved their experience and they would definitely come back! The Wya Point Surf Shop and Café has also opened up and partnered with the resort to provide another service to visitors. 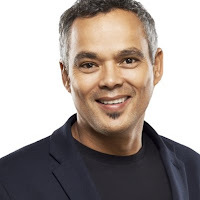 It is privately owned by community member, Tyson Touchie and Amanda had the chance to meet the owner at the recent Sustainable Indigenous Tourism conference this past April and heard his story and challenges of starting his own business. He had strong community support to do this venture and he offers something unique in the area. Many people come to the west coast of Vancouver Island for surfing, but he brings an Indigenous perspective to the table by sharing stories about the land, his ancestors, the wildlife and their relationship to the land. Visitors still get their amazing surf experience, but they gain so much knowledge and understanding of the land and the indigenous peoples that inhabited it for so long. Amanda highly recommends this experience and is happy to deem Wya Point as a best practice in Indigenous Tourism Development. More info on Wya Point can be found at https://www.wyapoint.com and the Surf Shop has their website at http://www.wyapointsurfshop.com. If you’re wanting to create your own tourism venture or enhance your current tourism projects/business CES is offering a free consultation on how to get started. Email us at info@cesclients.com or visit us at www.cesclients.com for more details. I just recently returned from a FAM Trip to Eastern India to learn more about the local tourism industry and get a feel for what the destination has to offer. FAM Trips or “familiarization” tours are experiences designed for Travel Agents and Tour Operators to have an opportunity to experience a variety of tour products, accommodations and to have a chance to personally meet with the owners and staff at each place they visit. It is also a great opportunity for local tourism businesses to showcase their products in order to attract new business on the international scale. The event I attended was called Destination East and the program included a 2 day Symposium in Kolkata where we had one-on-one meetings between ‘Buyers’ and ‘Sellers’ and presentations on what Eastern India has to offer as a region. After the Symposium, the international delegates split into smaller groups to experience tourism products offered throughout the region. 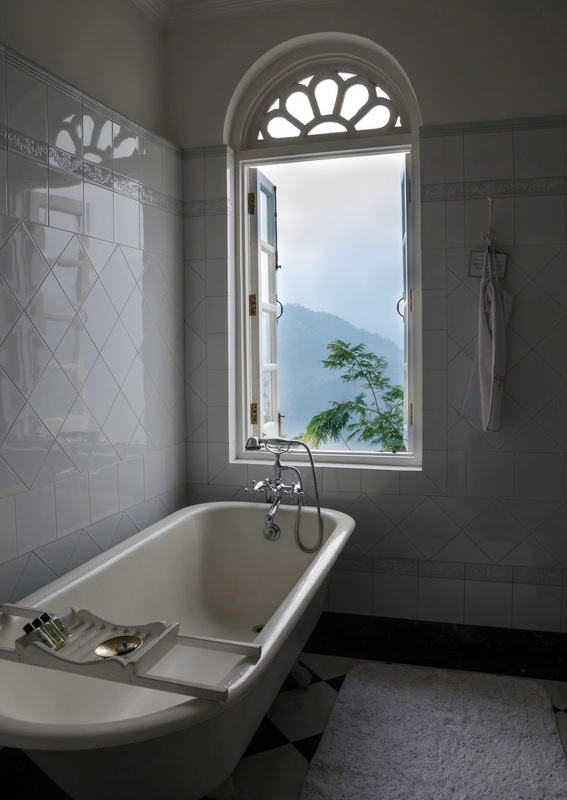 This included visiting a variety of accommodations, participating in tour activities, and having a chance to meet the owners and local operators at networking dinners and receptions. As a Tour Operator/Agent you learn so much about the region and are able to sell the experiences better to your clients since you have personally been there and experienced it yourself. As an individual business, these opportunities create great exposure and are essential for growing your business and creating more awareness for your tourism products and services. Contact your regional Destination Marketing Organization to find out if they are planning any FAM Tours. Offer individual FAM Tours to Travel Agents and International Tour Operators that you already have established relationships with. Contact funders to find out if they offer incentive programs and support for FAM Tours. 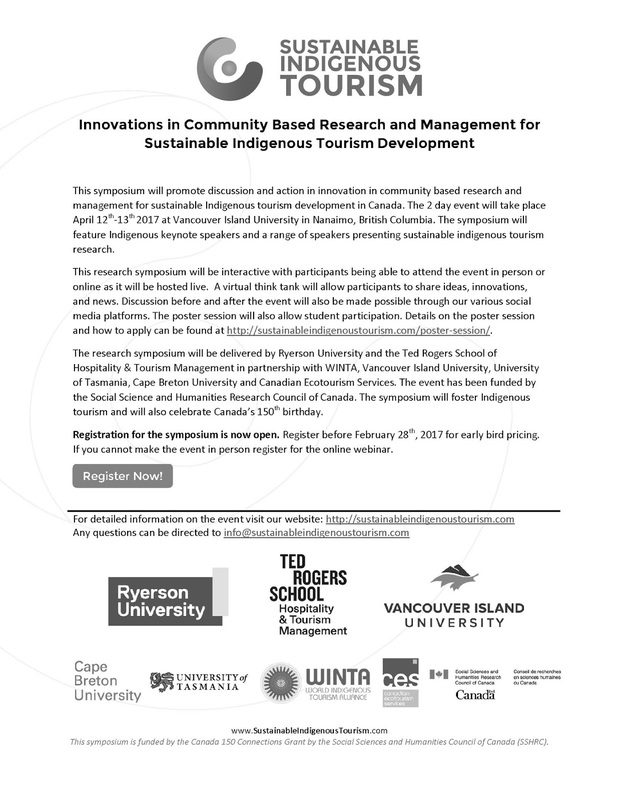 Work with your community, local businesses, and regional DMO’s to find out if you can work together to create a regional FAM Tour or Symposium to bring more international awareness. If you are interested in learning more about FAM Tours and their benefits to you, contact CES for a free consultation at info@cesclients.com or at 1-877-444-5550. 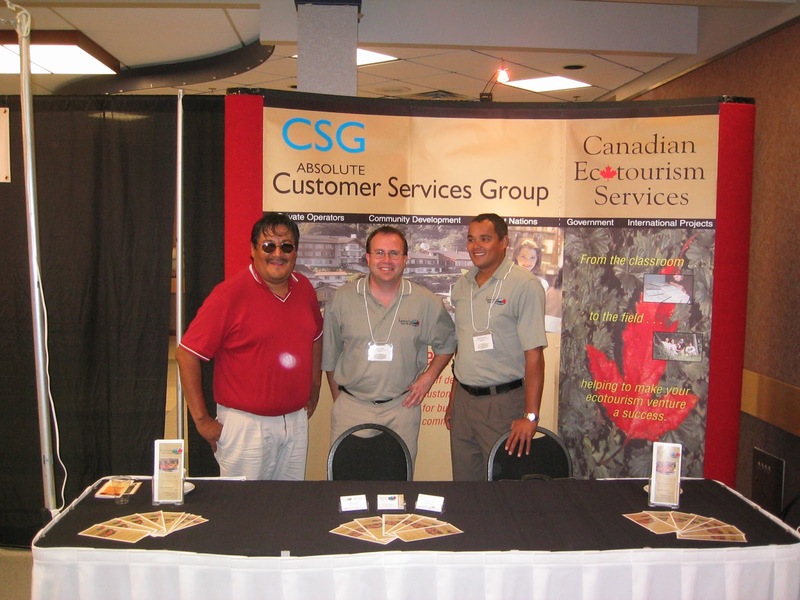 Canadian Ecotourism Services, also known as CES, is celebrating their 20th Anniversary this year! We thought that this would be a great opportunity to hear from Clinton Belcher, the owner and CEO of the company, to learn more about the evolution and growth of CES throughout the years. He also exposed the challenges that communities have with bureaucracy and trying to meld into mainstream businesses and how to develop businesses that work with the mainstream business world. Question 3: Being involved in the business of travel, I’m sure you had some great opportunities and have visited some incredible places through CES. What is a unique travel experience that really stands out for you? Answer 3: It was Easter Island and working with the Rapa Nui because that was my first international exposure and recognizing the similarities and values of indigenous people. And second to that was going back to South Africa and working from where I came with indigenous people. Question 4: I’m sure that things have evolved a lot throughout the years. Describe how the company has changed throughout the years, and if there was a particular change that really stands out. Answer 4: I would say the biggest change we had was doing things our way with the best interests and learning about the people we work with. When we first started, we had to fit in the mould of funding and what was traditionally done, both as trainers and consultants. What I found now is that we really developed these systems that are indigenous and we continue to build them and we continue to learn from them and it’s all because we worked for the communities and with the communities and not for the bureaucracy. Question 5: Now back to you – how have you changed throughout the past 20 years? Answer 5: I think that I’ve become a better listener and I’ve learned how to adapt, and I welcome change. I think I see more opportunities when there are challenges. I thrive on solving and providing and coming up with solutions that will work and ultimately make a difference. I thrive on challenges and the stress that comes with these projects as crazy as it sounds. My best moments are when things are challenging and stressful. I don’t know why but that is who I am, which never allows me to be complacent, which leads to always adapting and challenging ourselves. We then become better for solving problems. Question 6: I’m sure you have many… What was one of your most memorable experiences with a client? Answer 6: I would say one of my most memorable experiences has been working with Titus Shecapio in the Cree Nation of Mistissini. It was over a 12 year relationship of coaching and training him and watching him develop and turn into a community champion and now a leader in the community. He started from a frontline position and working with him and watching him grow and seeing the results… it’s been amazing to be part of. Working with the community of Mistissini in general has been amazing. From their Chief, to working with Conrad now – it’s been my most memorable client and experience working with them. We have a unique relationship – they believe in letting us do what we do, and they believe in what they were hoping to achieve. As a result we got great things accomplished. One of the unique things about some of the clients we have, is that we develop this trust and friendship and we don’t forget the balance of life. But when it comes to the tasks and the work we’re held accountable. When you can have both of those things, that makes life good. There is a natural balance of work and play. Question 7: Your Staff – in 20 years, I’m sure you’ve worked with a variety of different and interesting people. Can you share one of your favourite memories working with your team or is there anything you would like to reflect on? Answer 7: My favourite experience was and is the way our team worked and how we took every project like it was our own. It made me proud to see how everyone took it on as their own business. And further to that, I’ve admired the way that each team member has grown and built their capacity and has added value to their own personal lives while accomplishing great projects. I never had employees, I’ve had team members and we are all on equal playing fields. I always respect what my team brings to the table. And I’ll always stand up for my team. Question 8: Is there any particular moment that made you proud of what you created over the past 20 years? Answer 8: I would say, that it’s our use of technology and cultural tradition. I think that this is something that I’m proud of – such as our AIM (Authentic Indigenous Moments) project, it’s revolutionary. We’re always trying to up the game. 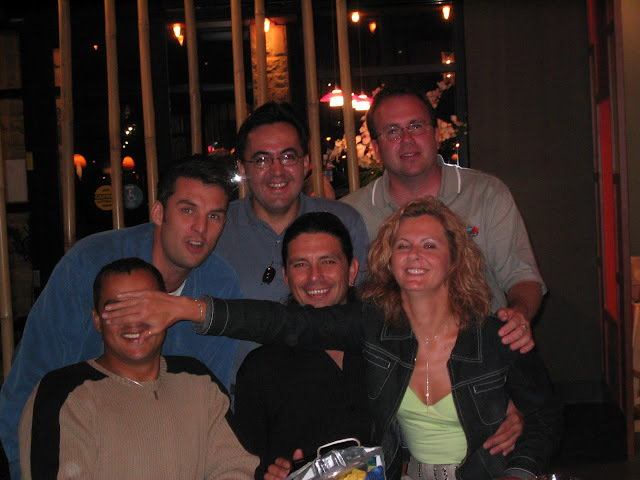 Question 9: 20 Years in Business is a huge accomplishment – what was the key to CES’s success? Answer 9: I would say it’s the human element and humanity – that’s the key to our success. If you do everything with a little humility and humanity, I believe that is what has kept us going and is truly my drive. It’s humanity always remembering it’s not just a project, there’s always people behind everything we do – remember we are all just people, we need to be treated with respect the same way, and we all deserve to have a good life. With humanity and humility – profit has never been my driver, it’s the human element. If you do those things right, the profit will come. Question 10: What does the future have in store for CES? Answer 10: I think that we are going to have an impact on a wider reach and I think that it will be National and or International, and that’s by using our methodologies and our system and certainly the word of mouth. I believe we will set a bar for other consultants and firms to work towards for helping indigenous communities prosper. I think now after 20 years, I really recognize how important our work is. I love coaching and I love advising and being in a mentorship role – I’m really enjoying giving back that way. I feel like it’s philanthropy in a sense, we help communities with incentives to get started, but it’s developing a relationship to help reach goals – I don’t even see it as work. It’s just what I should be doing. Every person that comes into my life provides me with a value. I feel that I want to do more and return something to them because of what they have provided me with. Stay tuned for some more announcements, stories, and new programs for 2017! For more on CES visit us at www.cesclients.com. 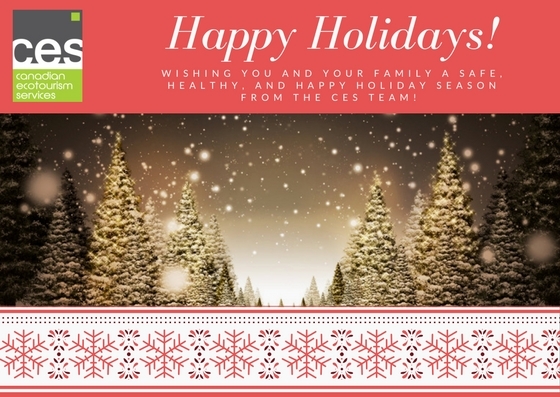 Happy Holidays from the CES Team! Thank you to all of our clients, partners and friends for a great year! Looking forward to what will come in the New Year! We wish you all a safe, healthy, and happy Holiday Season!